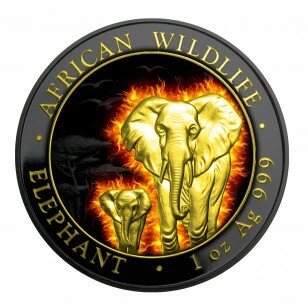 The 2015 1 oz Silver Somalian Elephant coin features a beautiful rendition of these majestic creatures roaming the African savannah. Struck in .999 fine Silver, this coin makes a great addition to the series, which began in 2004. Being the largest land animal and one of the most majestic creatures on the planet, this is sure to be a hit with collectors and investors alike. 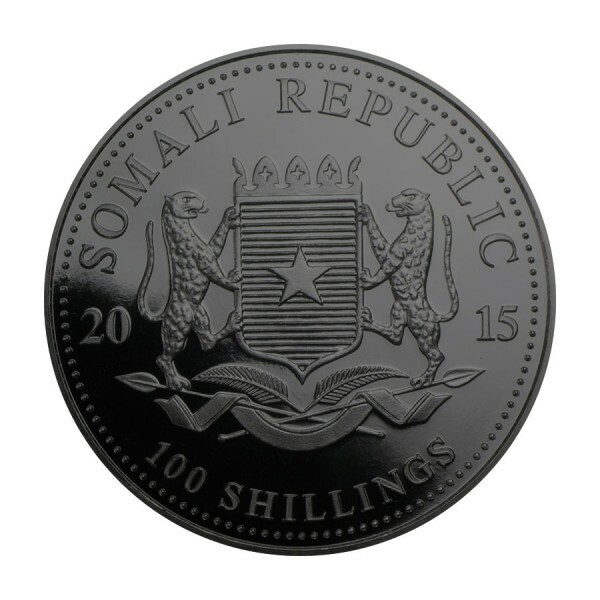 Add this 2015 Silver Somalian Elephant to your cart today! 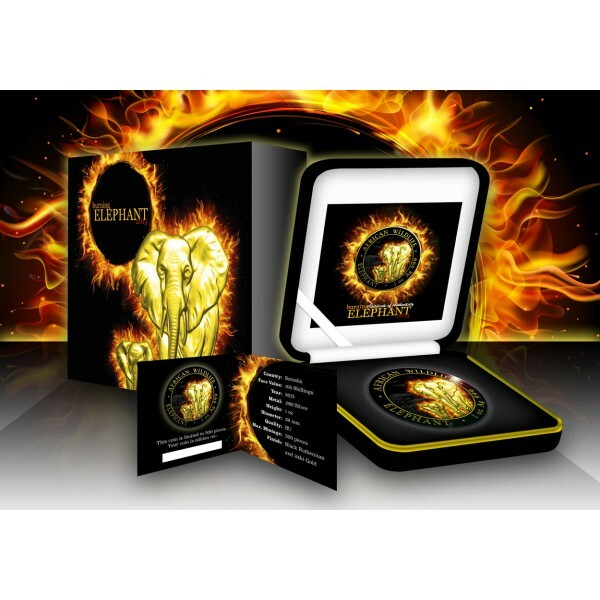 Note: The gold plating and colorization of this coin was performed by an experienced third party company.